You may enjoy black licorice candy for its distinctive, aniselike taste, but beyond its sweet snack appeal lies centuries of use for medicinal purposes. Black licorice root, whether brewed in tea or taken in supplement form, has been long believed to heal and balance your body. As with any herbal remedies, you should not ingest black licorice root without consulting your doctor. Also keep in mind that many of the reputed curative powers of licorice root have not been scientifcally proven to be effective. Ease colds, coughs and other respiratory ailments by drinking black licorice tea, which may help loosen and thin mucus clogging your sinuses and air passageways. This potent antiviral is also thought to treat flu, herpes and hepatitis. The herb's key therapeutic compound is the super-sweet glycyrrhizin, reputed to deter the breakdown of adrenal hormones, such as stress-fighting cortisol, making the hormone circulate longer in your body. If low cortisol levels are a factor in your ailments, such as chronic fatigue syndrome or fibromyalgia, the glycyrrhizin in black licorice root may lessen energy-sapping symptoms. Black licorice root is effective in treating ulcers, as demonstrated in several modern studies. The herb increases the action of mucus-secreting cells in your stomach, which protects your stomach lining from damage from stomach acid. Its strong anti-inflammatory properties may also help cure canker sores and cold sores, and reduce inflammation of the lungs, bowels and skin. It is believed that licorice does not suppress the immune system like pharmaceutical steroids often do, but you should not give up prescribed steroids for black licorice root without consulting your doctor. Severe side effects can occur if you take high doses of black licorice or as a result of long-term use of the herb. Among the side effects are high blood pressure, swelling from fluid retention and diminished potassium levels. Extremely low potassium levels, if left untreated, can cause heart failure. Licorice may also interfere with heart rhythms as well as cause hormonal imbalances. Women may be more sensitive to the hormonal side effects of black licorice than men. You may experience lethargy, fatigue and muscle weakness from toxic levels of black licorice. If you suffer from high blood pressure, do not take large doses of black licorice or use the herb for prolonged periods of time. 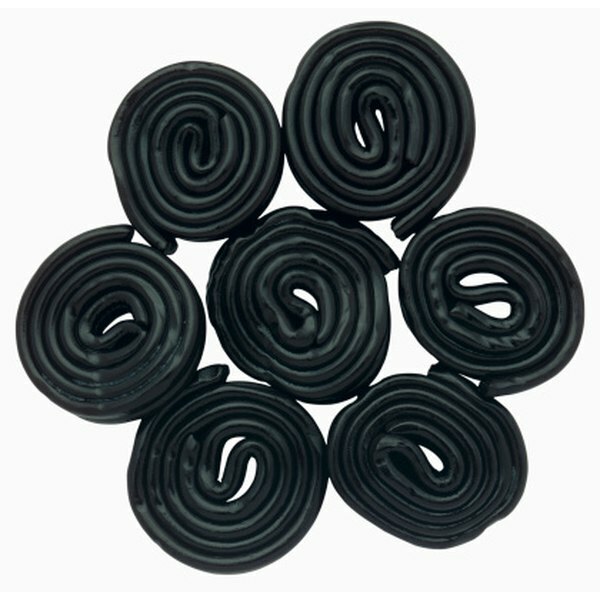 Black licorice may interact with many medicines, including aspirin and ibuprofen, certain diuretics, blood thinners, thyroid medications, steroids and oral contraceptives. Supplements and teas normally contain dried black licorice root, but if you eat black licorice candy for health reasons check the ingredients. Many candies are flavored with anise, not black licorice root.